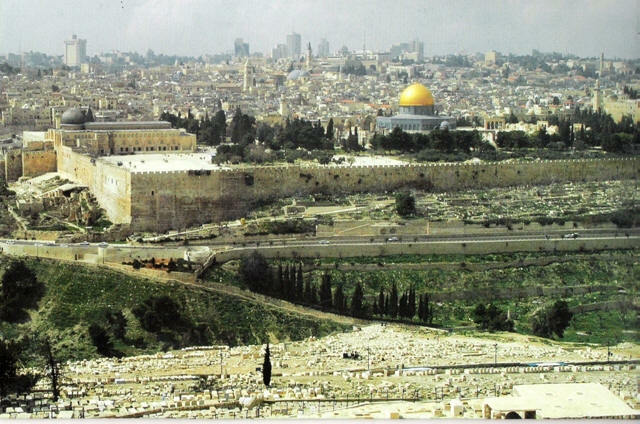 One of the greatest desires of all Jewish people is to walk up the roads of Jerusalem. God’s greatest desire is that they walk the road that leads to eternal blessedness. The Bible tells us the direction each one needs to take to reach their final destination. Jewish and non-Jewish historians agree that both the Tabernacle and the genealogical records (whereby we could know who are the sons of Aaron) were destroyed by Titus in 70 A.D. No longer is there a system of blood sacrifices whereby the Jewish people can have their sins forgiven. Since we have seen it is not by good deeds, has God left his precious people with no hope? Of course not! He has not failed either you or me. You can be forgiven – and know it! How? Would you accept Him into your life now? Heavenly Father, knowing Thou art holy and that I am a sinner, I now ask the Almighty God, the Creator of the heavens and of the earth, the one and only True Messiah of Israel, the Lord Jesus Christ, to come into my heart and to wash away my sin. I pray this in Messiah’s name. Amen. If you made this decision contact us for further information.